Access to everything… if and when you need it… it’s all included! Select your monthly budget. No more expensive projects or marketing costs! We can be your very own Marketing & IT solutions in Spain. Since you are unique, we will jointly define what works best for you and translate it in a budget that you know is fixed every month! Fix your monthly budget so you know beforehand how much you invest in outsourcing your marketing & technology. One budget allows access to all the included services…you decide where to put the focus on every month as to consume your budget the way you want! There are discounts for long term commitments…speak to us for more information. Graphic Design for Websites, Logos, Corporate Branding, Ads. etc. Download our brochure of services. See how we can help you too! 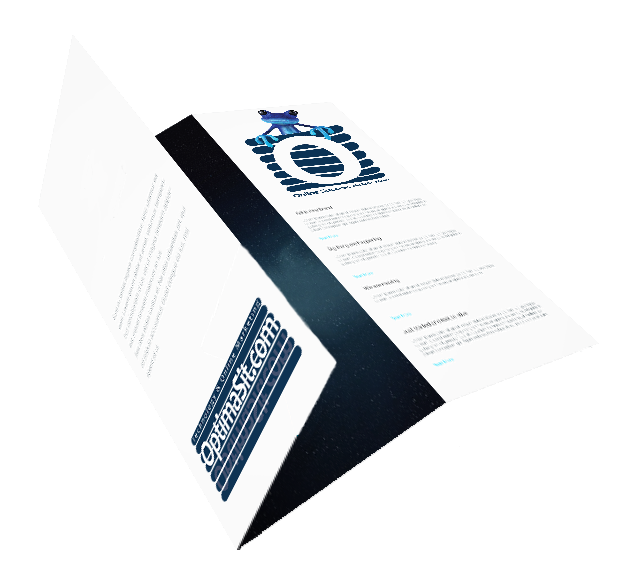 Our brochure contains all the services we can provide to you.